It’s long been a conundrum for Stowe locals and tourists alike — where to get a quick, fresh and inexpensive lunch in the resort town. Henry Bender was one of many townies to complain about the void, so he did something about it. Bender’s first foray into the realm of food and beverage seems to be hitting the spot. Each of his burritos is filled with rice, black beans, cheese, pico de gallo, sour cream and a choice of salsa. Diners can also add pork or beef slow smoked by Stowe’s Backcountry Barbecue catering company. Other options include grilled, marinated chicken or steak, or grilled or fried fish of the day. Vegetarians have several choices, including a sweet potato and black bean combo with Sriracha mayo and shredded ginger. Many of the same proteins appear in corn tortillas for tacos. The menu also includes quesadillas and snacks such as nachos, onion rings and carrots and celery sticks with hummus — plus a rotating daily cupcake. 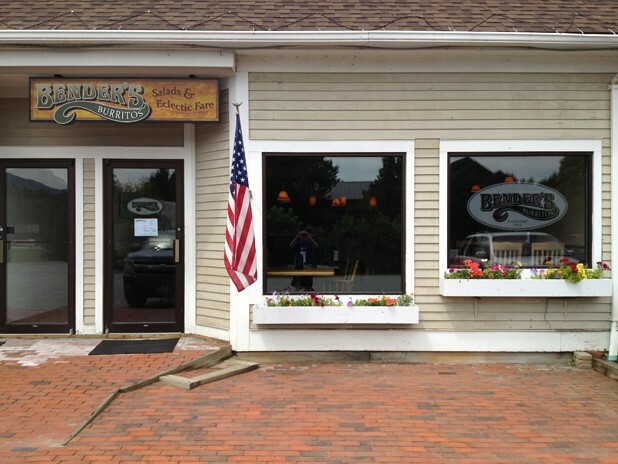 Another healthy option — from a different part of the world — will soon open in Stowe. Creative Japanese fusion is coming to 1128 Mountain Road in the form of Sushi Yoshi. Nate Freund’s target opening date is August 26. In recent months, he and his co-owners, Howard Smith and chef Kevin Zheng, got locals talking by setting up a sign covered in question marks in front of the spacious restaurant. “I felt like this location had had some bad connotations from people who have tried to do restaurants here in the past. If I put up my Sushi Yoshi sign immediately, people would expect the same old mediocre food, and I wanted to make people realize something is happening here and it’s something different,” explains Freund. Sushi Yoshi already has locations in Killington and Lake George, N.Y., but Freund says that Zheng’s new menu will differ from the other two spots. The chef started his career in his native China before working under master sushi chefs in New York City; he joined Sushi Yoshi nearly two decades ago. Now, says Freund, he’s putting less emphasis on Chinese food in favor of healthier options such as bento boxes, lettuce wraps and sushi appetizers. The original print version of this article was headlined "Rolling In."